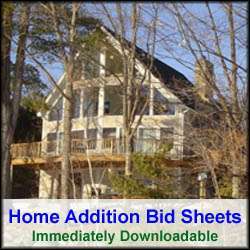 Choosing a contractor for a home remodeling project can be quite the challenge. Where do you look to find one, and how do you know your hiring a reputable contractor, are two key questions that often come to mind when seeking out a contractor. Hiring a contractor is effectively hiring an employee, and as a result, it’s important that any prospective home remodeling contractor you interview clearly understands this. Far too often the roles become reversed and the contractor ends up driving the homeowner and dictating terms. True, your choosing a contractor for their expertise, and relying on their experience and judgment to build your home or home addition correctly, however it is you who are paying them and it’s important that both of you don’t forget this simple fact. When searching for a contractor check with extended family or friends to see if they know of any that they can recommend and vouch for. Reference checks are key to choosing the right contractor. If your friends and family can’t offer up any recommendations, check in your local phone book or do an internet search in your local area for contractors. Another popular alternative today for finding a contractor is to use a contractor referral company such as Quinstreet or Renovation Experts. Both of these companies maintain a national database of home remodeling contractors that they have thoroughly screened and done background checks on. To use one of these companies simply fill out one of their free online home improvement forms, and 3 to 4 contractors in your local area that are affiliated with them will get in touch with you. There is no cost or obligation to you to use anyone of their contractors. However, you can be assured that they have undergone significant background checks prior to inclusion in their national database. The next stage in choosing a contractor is to provide each prospective contractor with information about your home remodeling or construction project. Once they’ve reviewed your project information they should provide you with detailed quotes that include costs breakdowns, schedules, and specific materials to be used. The contractor bids should also include information about their businesses, including copies of their state contractor licenses and insurances, and a reference list. Any contractor that fails to provide this type of information in their bid should be eliminated from your list of potential contractors. After reviewing and comparing contractor bids, the next step in choosing a contractor is to call the references. I highly recommend calling at least 3 references. Ask the references would they hire the contractor again. 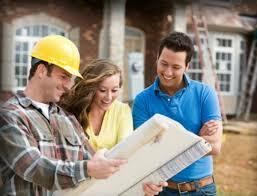 Also ask them what they liked best and least of the particular contractor. With these three simple questions you should be able to quickly formulate an opinion if whether or not a contractor is right for your project. Also don’t hesitate to call your state contractor licensing agency or Better Business Bureau for additional background checks. Finally, after reviewing all of the bids and checking references, choose a contractor that best meets your budget and schedule, and that had very favorable references. Be prepared to have to pay some initial deposit as part of signing the contractor’s contract. By following this simple procedure when choosing a contractor you should improve your chances of a successful home remodeling or construction project.